As one of the largest gutter contractors in Baxter, Advantage Seamless Gutters works with homeowners every day in solving gutter-related problems and keeping their homes clean and in good condition. Whether you need gutter cleaning or help with new installation, we are the contractor to turn to. In this post, we discuss what makes us stand out from the other gutter companies in Baxter. Advantage Seamless Gutters is a family-owned business that has been in the business since 2015. Since then, we have been providing homeowners with peerless gutter services backed with the highest quality workmanship. Peace of mind is what we offer when our team works on your gutters. Not all gutters are the same, and your new hardware should be specially designed according to your home’s measurements and specifications. This need is the reason why we offer customized seamless gutters. Our gutters feature the thickest gauge aluminum and the strongest hangers, and are all custom-measured and sized according to your roof’s measurements. The result is a gutter system unique to your home. We take pride in installing the best gutters, but we know that even the most durable hardware is only as strong as its warranty. That’s why we stand by every gutter job with a 25-year warranty that protects your new investment from things out of your control. We offer a complete suite of gutter services. These include designing, customization, installation, repair and gutter cleaning. When you work with us, we’ll get your gutter project done right the first time around. 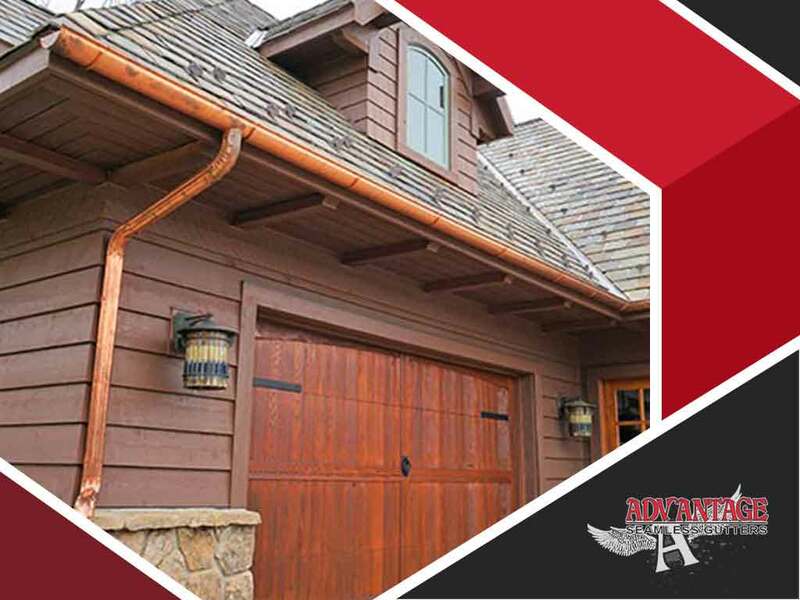 Advantage Seamless Gutters is an A- BBB rated business. Quality gutter products and excellent workmanship are what you’ll expect when you work with us. Call us today at (218) 212-1818 to learn more about our services. We are local gutter installers in Baxter, MN.